If anyone who didn’t know her had seen her getting on the train, that person would have seen a girl getting on the train. If anyone who knew her had seen her taking her seat, that person would have seen Teresa taking her seat. After all, nothing had really happened from the world’s point of view, except that a girl had given up all hope. Hardly even worth mentioning. Rarely do female characters stay with me after I’ve finished a book. Theres and Teresa are looking over my shoulder as I write, making me nervous. 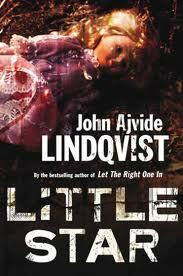 With Little Star, Lindqvist earns his place as a master of horror, perhaps the best so far of the 21st century.